A day of inspiration and writing with keynotes Mark Nepo (author of The Book of Awakening) and Dani Shapiro (author of Hourglass), with Linda Joy Myers and Brooke Warner. Every day we hear from writers who are struggling. Whether it’s the darkness of a personal story they’re working through, or the darkness of the uncertainty we face on the human journey, it has a way of creeping in and taking over. Darkness, while a necessary part of many memoirs, and an inevitable part of being human, must be balanced out by the light. 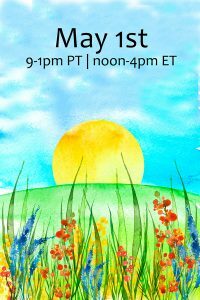 We know that all memoirists are craving inspiration and empowerment on this journey, and it’s with this in mind that we offer “Spring Forward in Your Writing.” It’s perfect for any writer who’s ready to carve out part of their May Day as a gift, an experience, and an opportunity for self-discovery. This online event includes inspiration, teaching, sharing, and time to write. Please come prepared with your laptop or journal as there will be writing prompts and free-writing time. During this time, for those participants who do not wish to write, or who would rather get writing support, there will be the option to attend teleconference breakout sessions led by Linda Joy and Brooke. REGISTER TODAY. $99 INCLUDES OUR THANK-YOU GIFTS (SEE BELOW). During this four-hour online writing event, you’ll hear from best-selling authors (and incredibly deep and resonant teachers and speakers) Mark Nepo and Dani Shapiro. 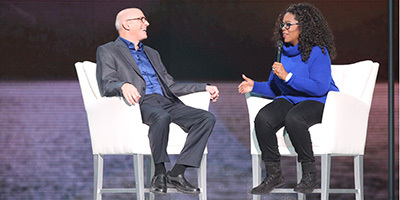 Mark and Dani have appeared (separately) on Oprah’s “Super Soul Sunday.” They’re both best-selling authors and deep thinkers, particularly on the topic of writing and what it means to practice the art of writing and self-awareness in everyday life. There will be teaching sessions with Linda Joy and Brooke, as well as time for your own writing. For those who don’t want to write, Linda Joy and Brooke will host breakout sessions. There will be time to listen, write, and/or engage, depending on your mood and inspiration. You can come prepared to work on your memoir, or get inspired by the writing prompts we’ll provide on the day of the event. Mark Nepo inspired readers and seekers all over the world with his #1 New York Times bestseller The Book of Awakening. Beloved as a poet, teacher, and storyteller, Mark is the author of 20 books and has been called “one of the finest spiritual guides of our time.” Mark has appeared several times with Oprah Winfrey on “Super Soul Sunday,” and was named by Watkins: Mind Body Spirit as one of the 100 Most Spiritually Influential Living People. 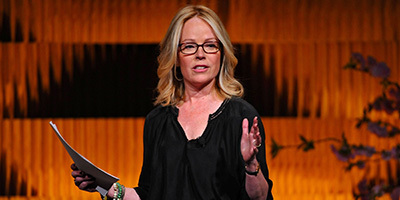 Dani Shapiro is the best-selling author of the memoirs Hourglass, Devotion, and Slow Motion, and five novels. Her work has appeared in The New Yorker, Granta, Tin House, One Story, Elle, The New York Times, and more. Dani has appeared on Oprah Winfrey’s “Super Soul Sunday,” and has been the keynote speaker for the Writer’s Digest conference and for Poets & Writers. Linda Joy Myers and Brooke Warner, memoir champions and co-authors of Breaking Ground on Your Memoir and The Magic of Memoir (in addition to their other single-author books), together co-teach many memoir courses each year, including their in-person Magic of Memoir workshop, their popular best-seller memoir series, and two intensive courses, Write Your Memoir in Six Months and Mastering Memoir. You can read more about Linda Joy and Brooke here. Throughout the day, Linda Joy and Brooke will be guiding you, making space to process Mark and Dani’s keynotes, and offering support for the writing process. We hope that Spring Forward in Your Writing will be a reset for some, a chance to get inspired and motivated as we move into a new season that’s often associated with a reviving of our energies. We intentionally chose May Day as a symbol of resetting. It’s an ancient spring festival and was originally an astronomical holiday, one of the year’s four cross-quarter days, a day that falls halfway between the equinox and solstice. May Day stems from the Celtic tradition, and was related to the waxing power of the sun as people in the Northern Hemisphere moved closer to summer. This is our intention for writers who join us, to tap into your own waxing power, a movement toward your writing, a renewed commitment if need be, or simply a day to gift yourself that often-hard-to-find time and space to practice your craft. We invite you this May Day to be in the company of other writers as you listen, absorb, and even get some of your own writing on the page. Register via Authorize.net or Paypal below. This is an online event that will be accessible through your computer or phone. If you have to miss some or all of the event, don’t worry. We record everything. That said, this event will not be for sale after May 1st. It’s a one-time thing, and we’ll all be live on May Day. If you have questions or concerns, please contact Brooke. Please note that there are no cancellations and no refunds. We’ll be providing the thank-you gifts with your registration, and if you can’t make it live on May 1 we will record and you’ll get an opportunity to participate in the day on your own time. If you have questions about this, please contact Brooke.